Lifeonics Limited, the developer of smart, in-situ analytical devices is pleased to announce the signing of a distribution agreement with Lab Expert, a leading supplier of laboratory equipment, supplies and high purity chemicals to the Thai research and life-science markets. Lab Expert will market and support the SMOD™ proprietary technology in the Thai academic, pharmaceutical and biotech markets. 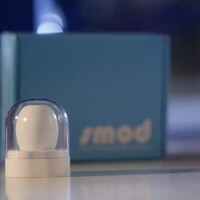 SMOD is a miniaturized device for real time, non intervention monitoring of cell culture fermentation ideally suited for laboratories growing cells in flasks. Mr Thanitpong Permthrong, Managing Director of Lab Expert comments, “We see that the novel and innovative SMOD technology will offer a much smarter approach to the current time consuming and often inaccurate method for crucial cell culture monitoring process in laboratories throughout Thailand. We look forward to working with Lifeonics to introduce SMOD to our customers in Thailand.